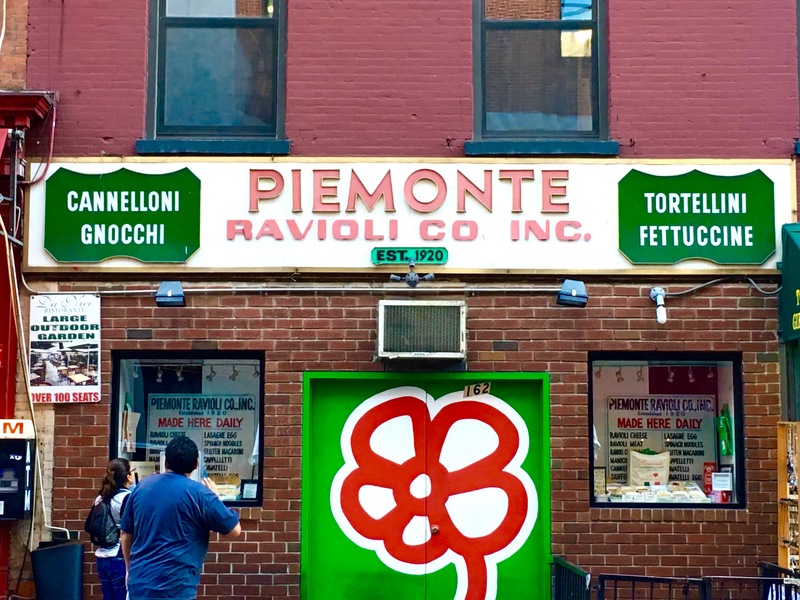 Most of them are in the city’s faded Little Italy neighborhoods—white, green, and red store signs with 1970s-style letters spelling out an Italian surname and the choice delicacies they sell. Mozzarella, ricotta, tortellini, gnocchi: Whatever the vintage sign says, you know you’re in good hands. 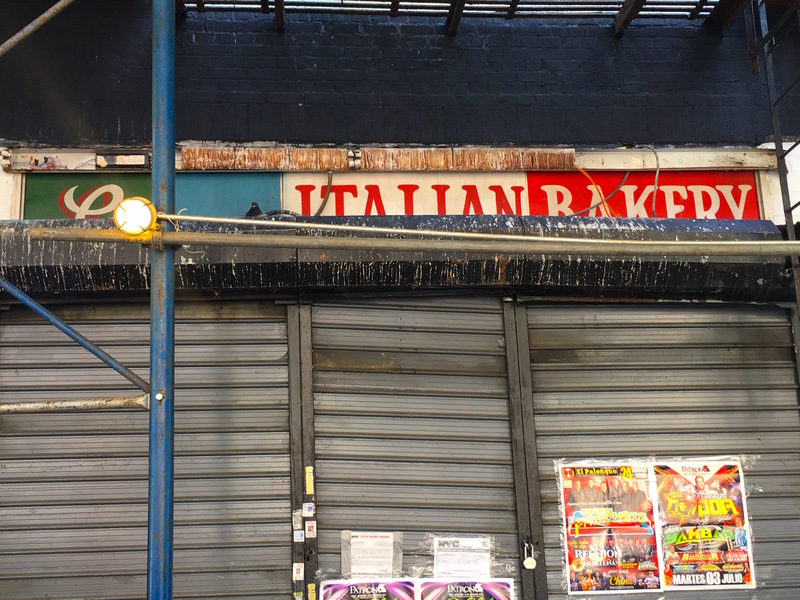 So many of these old-school Italian food stores have closed up shop, it’s good to celebrate the ones that remain. Like Piemonte Ravioli on Grand Street. Established in 1920. Reading the “Made Here Daily” sign in the window makes my mouth water. 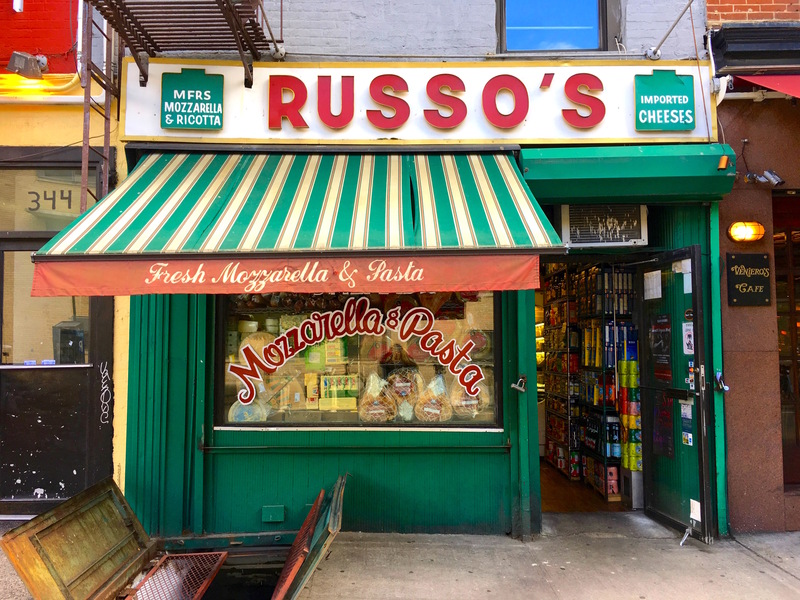 Same with Russo’s, making mozzarella and fresh pasta since 1908 on East 11th Street—once the center of a mostly defunct Little Italy in today’s East Village. 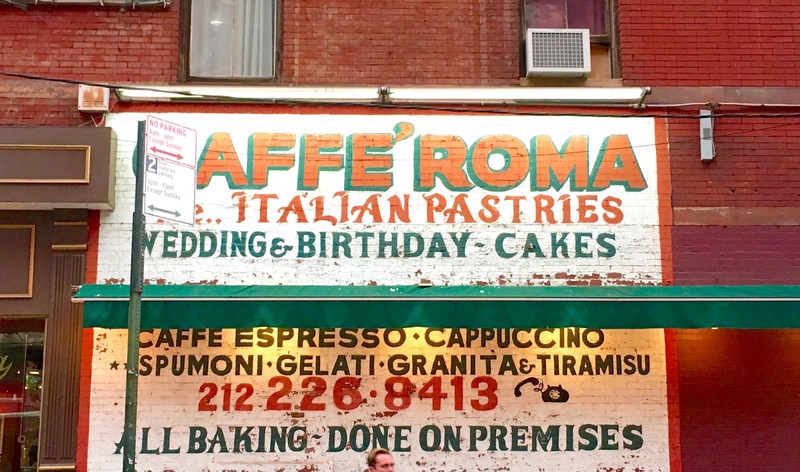 Italian cakes and pastries are baked on the premises at Caffe Roma on Mulberry Street, going strong since 1891. I like this painted ad better than their actual store sign. 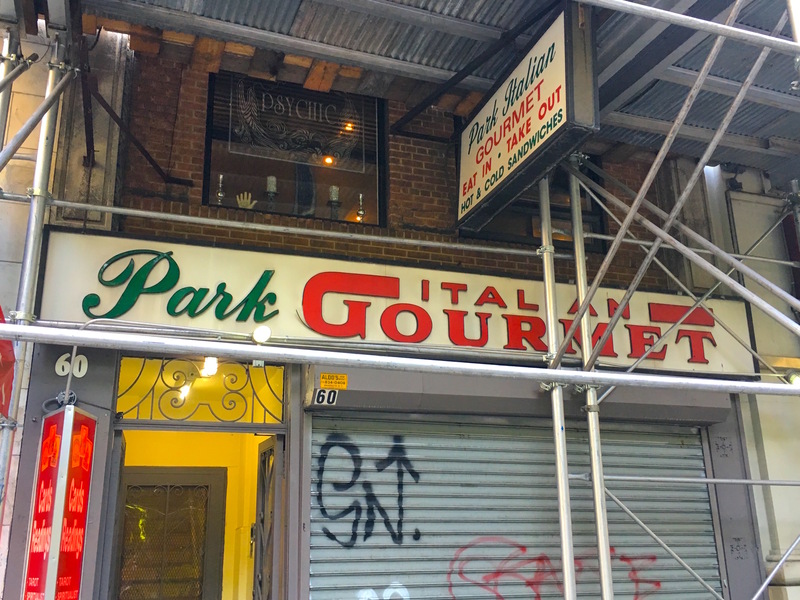 Park Italian Gourmet was unfortunately closed when I walked by on a weekend. Hopefully because it’s on 45th Street in Midtown and the office lunch crowds weren’t there, not because this Italian hero joint has shuttered permanently. It’s too late for this Italian bakery with a different kind of sign in the Bronx’s Little Italy centered on Arthur Avenue. RIP.